Single word keywords are no doubt easy to use and seem more suitable however, their search volume is 15% lesser as compared to the multi-word keywords (or phrases). Using phrases is at times hard, but always more efficient than the single words. Multi-word keywords may seem new to a few people out there since we rarely see their occurrence but from the search engine point of view, they have got a much better potential than single word ones. When using phrases as keywords, targeting on the basis of a broad match is a stupid thing to do since the whole concept of phrase keyword is ruled out in such a mechanism. Exact match is however what gets you the most accurate and precise results in such a case and should be the method used while the targeting and selection of phrases. The large search volume of the broad match based search seems attractive but can be extremely inefficient in cases. Keyword selection is an impossible task if you don't know the basic searching styles a person uses on the search engine. When targeting keyword phrases, your language should directly match with the kind used on the search engines. For example, people would search for 'windows 8' and not really 'windows eight'. Simple this may sound but has a great impact on your ranking and this is why the keyword selection is a time consume task. Going only for the search volume and not going for the search volume are never recommended. Keyword selection is a step where intuitions are not meant to work. No matter how unique and interesting keyword you select, its the search volume that determines its productivity. Search volume should not simply be ignored but should also not taken as the prime factor for targeting the keywords. Plurals are rarely used as search terms. Selecting them as the keywords should also therefore be avoided. Just an extra 's' it may appear to be, but can greatly affect your positioning since technically 'computers' is not 'computer' and technical is all this keyword selection is about. Many ignore this little fact but well, the search engine ignores their website too and that just should not be an option right? More keywords mean better ranking. However, ranking is not everything. You need to provide good quality information to your viewers. Filling up the text with keywords will not only confuse the readers but will also lower your ranking from the user point of view. This is why the keywords should only be restricted a few portions of the text and not all. After all, the search engine is not really what you are writing for. A broad term can easily get you a better traffic because of the larger search volume associated with it. However, you need serious visitors on your business website and not just visitors. A broad term will get you general visitors however a narrowed down keyword will get you your customers since you are exactly specifying your target market. Getting popular isn't the thing, getting paid is and this is possible if your keyword targeting is narrowed down and precise. There is no hard and fast rule for the style of the search terms. Their usage is different for different geographical locations. Selection if done irrespective of the target geographical location, would not get you what you want. In almost all the keyword analysis tools, you have the option to select that target location. We mostly skip that option but should never since our target is a specific portion of the world in most of the cases and selecting keywords for some other locations is equivalent to not selecting keywords at all. The searching trends change over time. However if you're still stuck to the old trends, i have some bad news for you. In order to effectively target keywords, you need to be in research mode almost all of the time so as to keep up with the trends. Old fashioned keywords will never get you the traffic you desire no matter how effective they seem and this is because they got replaced by better and refined ones. Good keywords can get you traffic. Using major hot keywords can get you ample amounts of traffic but is that really what you're trying to get? You're commercial business' website needs customers and not just visitors that you can get by using unreal keywords. Targeting should be focused on getting the right traffic and not just getting the traffic. Using unrelated keywords just to grab some attention can be a fatal blow to your business since you'll get uninterested traffic directed to you while your real customers are residing elsewhere because you didn't target them. With the right knowledge of the keywords selection techniques, it is a really simple task. 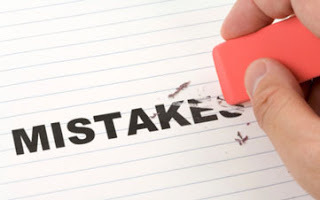 The mistakes mentioned if avoided, can get you the very right traffic you need on your website and this will be beneficial for you as well as your visitors.